This patient had a severe phobia of dentists and everything “dental”. After being bullied during growing up, and being made to feel guilty about the condition of his teeth by other dental professionals, his anxiety went beyond just the fear of injections or a drill; it was a deeper emotional trauma that we rarely see. We were in communication with this patient for over a year before he was able to build the courage to visit us. 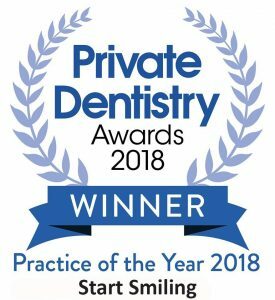 The results were achieved by a huge team effort involving a hygiene plan before everyone involved felt confident to begin the next stages of the cosmetic treatment. This was achieved with tooth whitening and composite bonding of the upper 6 front teeth only. After tooth whitening for 2-weeks the procedure took 2 hours. We are very proud of this case and really think his life will be changed due to the emotional hurdles we have overcome together. This case was achieved with some simple cosmetic tooth straightening using C-Fast fixed braces. This was followed by tooth whitening and Composite (white) filling material bonding. This case was completed with 6-weeks of removable clear aligners which straightened the teeth into a better position. Tooth whitening was completed at the same time. The final perfect smile was finished by using Composite (white) filling material to reshape the front 4 teeth to improve their shape and symmetry. This was all completed by hand. The entire treatment was completed in 8-weeks. There were no injections and the natural tooth surface was not damaged in any way by a dental drill. “I had very high expectations of what the final look should look like and now with the completed treatment, I am extremely happy with the results. I have received many compliments on my teeth and have referred Start Smiling to a few friends and family along the way! This is a more advanced smile makeover case which took about 4-months to complete. General dental neglect and previous bad dentistry had resulted in multiple fractured and missing teeth, infections and failing old restorations. We approached this by building the patient’s confidence and improving her hygiene and attendance. We completed 5 root canal treatments to save some of her teeth as well as a few extractions of the teeth too badly broken down. We then re-built the entire smile using a combination of crowns and veneers. We filled the spaces of the missing teeth with bridges. The end-result is a miraculous transformation. The patient was informed about good oral hygiene development and this was reinforced throughout this process. She now has the understanding to maintain her smile and keep all her remaining teeth for as long as possible. This patient visited me only a few days ago, one-year after treatment completion, and she is maintaining excellent standards of oral hygiene and everything still looks perfect. I am very pleased for her and the progress she has made. This poor patient was in the Navy many years ago and had no alternative than to have all his teeth removed when he had pain. He had spent his whole life ashamed of his smile so it was my honour to help him achieve the confidence to smile again. We decided to remove the lower anteriors and associated cysts, then place some implants to help retain an upper removable denture, with provision of a lower chrome denture and composite re-bulid of his lower teeth. He is aware that further treatment will be necessary but this stage is to stabilise his worsening dentition and improve his quality of life. It has given him a new lease of life. I am so happy to be able to affect someones life so dramatically. For them it is life-changing, but for me its just doing what I love; this underlines why i get up in the morning to do this job.